G18. It sounds like a summit of world leaders who are meeting to debate problems and propose solutions. But G18 is not a global conference. 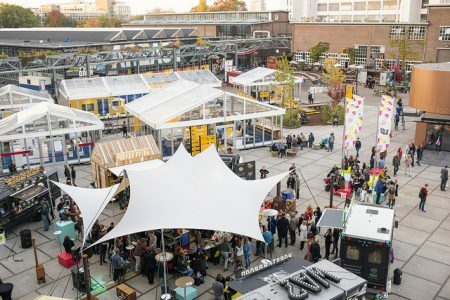 It is, in fact, the title of Design Academy Eindhoven’s (DAE) Graduation show presented at Dutch Design Week 2018. Like the attendees that gather at a global summit, the 185 graduates of DAE represent an international body of designers. Their work deals with a plethora of topics from the fun to the serious to the prickly and uncomfortable. The exhibition can be read as an exploration of society from all angles showing the ideas and preoccupations of the times in which we live. For the first time in nearly two decades, DAE ventures out of its school building and presents the graduation exhibition in the historic Campina milk factory to accommodate for its increasing popularity and a shift in the public perception of what design is and can be. Imagine a radically green future in a tree-based society. Donke’s speculative project considers how humans can take responsibility for the environment through a tree regeneration program in the Netherlands. His video illustrates this concept as well as food items made from the produce of trees such as acorns. He also creates a table that allows an oak seed to be planted in its centre. The dimensions of the table reflect how big the tree will grow in 60 years time showing the potential of one small seed. Elisa Otanãnez is tackling gender inequality one toilet at a time. The bold yellow public toilet she has designed for women addresses the persistent sexism built into our daily existence. Using the visual language of activists, the toilet takes a stance against the lack of facilities for women around the city whilst men have access to multiple urinals. This arresting installation traces the instances of arson attacks against refugee and immigrant accommodation in Germany since its reunification in 1990. 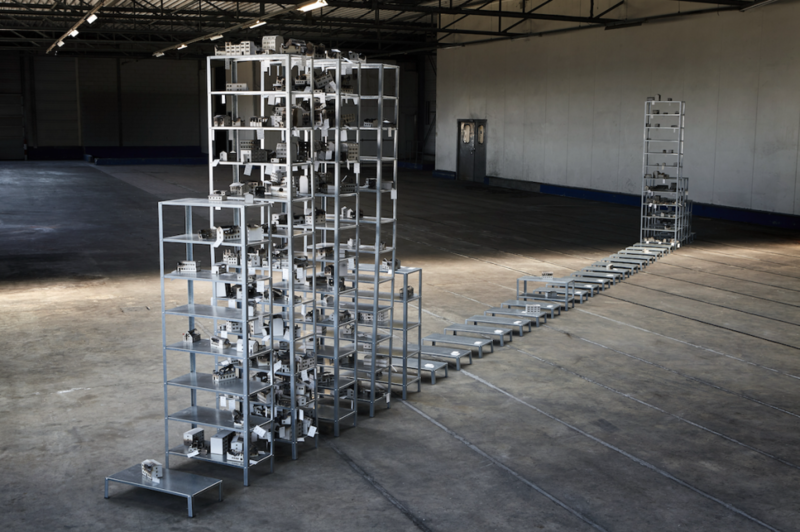 The piece confronts the viewer with the rising rates of violence fueled by nationalism and xenophobia through the transformation of abstract statistics into a physical reality. 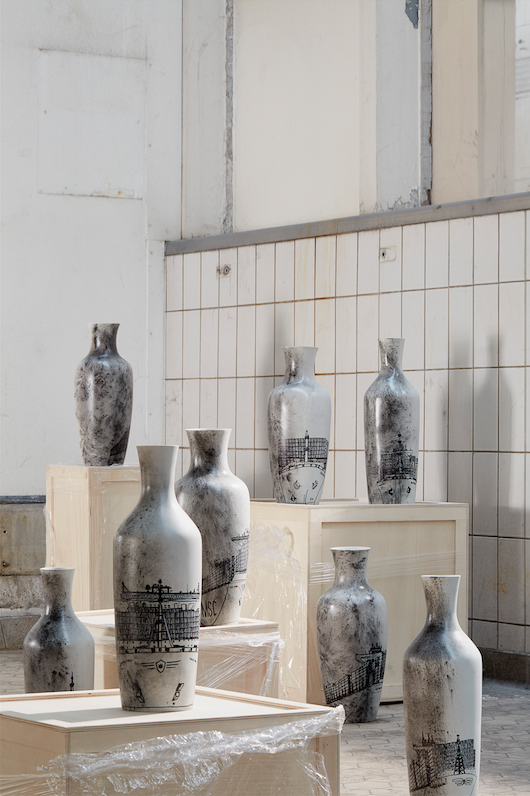 A series of tall white vases, speckled with black dust made from carbon and decorated with eerily empty industrial landscapes, stand together in a testament to the pollution caused by mass-shipping of goods. The ancient-like form of the vessels echo the past and questions the real damage that global trade is causing. What happens when a clothing system is both uniform and individualistic? 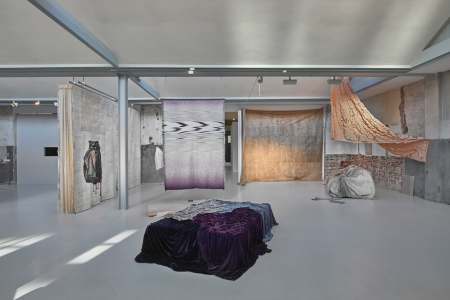 The collection by Brunnhuber explores this question. 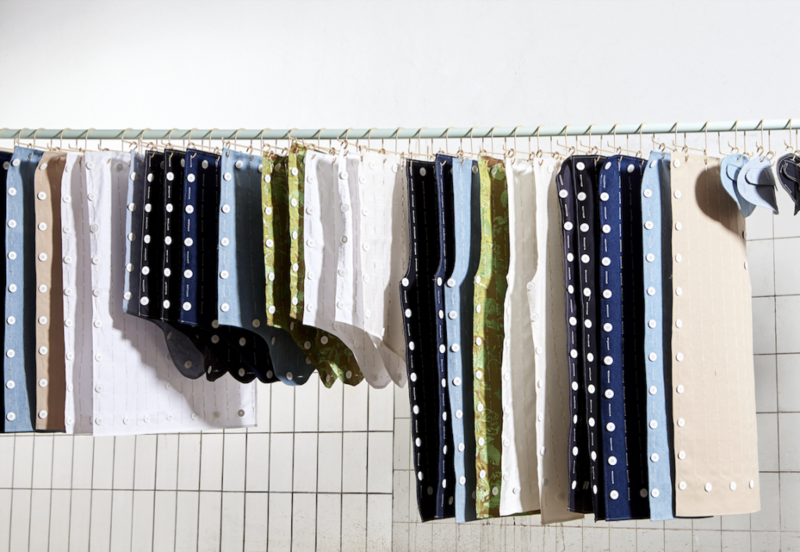 It consists of four standard shapes in navy, beige and light blue fabrics, resembling a uniform. However, with a clever system of buttons and buttonholes, they can be assembled in any number of different ways to create eccentricity within uniformity. This material research project proposes a new type of leather made from 100% natural products such as linseed oil, wood flour and pine resin. Kwaning made wall tiles to show the natural beauty of this product but suggests that it could be used in many other applications. Although it would not be very productive to have your laptop break down in tears, what would happen if we had emotional computers? In an interactive installation, Kim invites users to interact with artificial intelligence that has been fed with romantic literature and personal notes. This gives it the ability to speak in ‘human’ emotions using metaphors and expressing its feelings. The project asks do robots need to remain cold and distant? Ever attentive and ready to spring to your needs the coat stand, coffee table and shelving that make up Responsive Furniture create new interactions with static domestic objects – put a few items onto your coffee-table and an extra surface pops up out of it, creating more space. The projects questions why physical objects cannot be as responsive and fun as digital interactions. 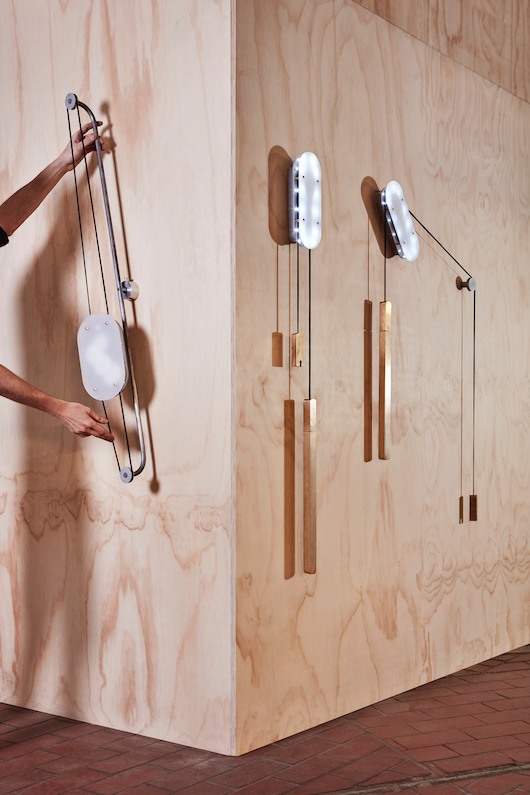 These wall-mounted lights are powered by gravity. They examine the status of analog systems in an increasingly digital world. Based on the mechanics of gears and weights, the lamps rotate and power the LEDs in a balance of functionality and beauty. When a phone comes to the end of its life it is often shoved in the back of a drawer and forgotten about. However, it contains 42 precious raw materials which could be recycled rather than mined in toxic conditions. 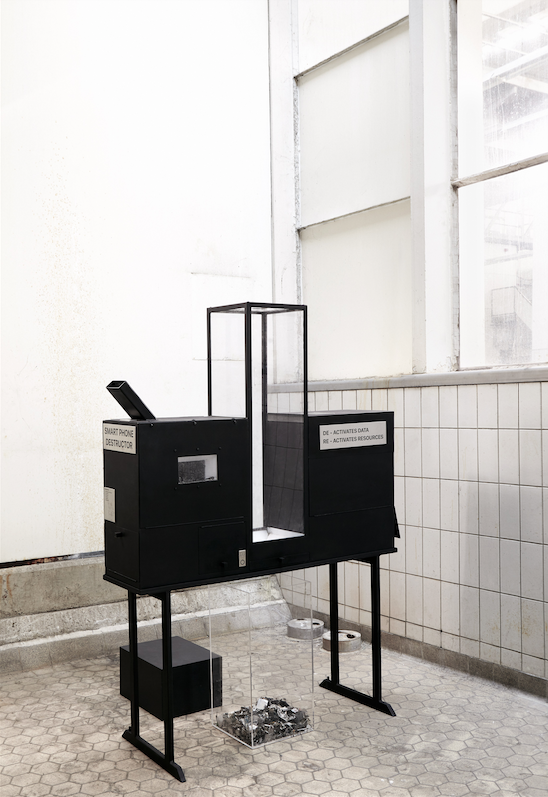 The Smartphone Destructor is a machine that encourages people to recycle their phones whilst simultaneously eradicating their personal data. Watch your phone be violently destroyed and receive a photo as proof of your data’s disappearance. 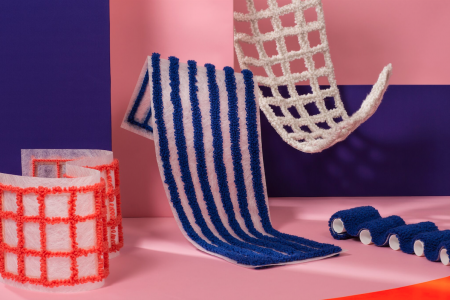 Pairing medical knowledge, 3D scanning technologies and design interventions Vidal-Ribas’ project proposes a new system for knitted orthotics that meet each patient’s individual needs. Reflecting that each body is unique, 3D MRI scans are translated into a knitting pattern that customizes parameters such as compression, elasticity, texture, warmth and even preferred colors to create personalized orthotics. What happens to museums when things increasingly circulate and are exhibited online? Is a digital image a valuable object that should be shown in a museum? Boutkan questions how curators define value in an increasingly digital age. Her new method for selecting and presenting images counters the institutional failure to acknowledge the importance of the digital artifacts. This towering chair constructed from smoked European oak is impossible to sit on. At an unusually tall height, it initially seems like a joke. However, the height of the chair is actually an illustration of how far the Netherlands sits below sea level. 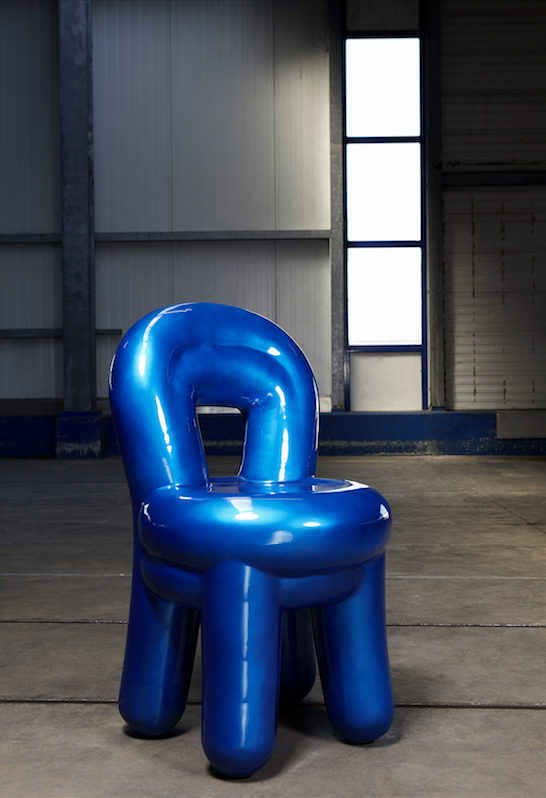 The chair acts as both a warning about climate change and rising sea levels and a call to action. How do we reimagine and stretch the possibilities of design now that virtual tools can offer endless possibilities? In radically rethinking the iconic Thonet chair and using 3D-animation software in the design process, Labat considers how the virtual can influence the physical. Craftsmanship is frequently associated with the handmade, the slow, the time-consuming and the luxurious. Garlick challenges this notion and makes a case for the contemporary craftsman who uses digital manufacturing techniques to create objects of beauty. 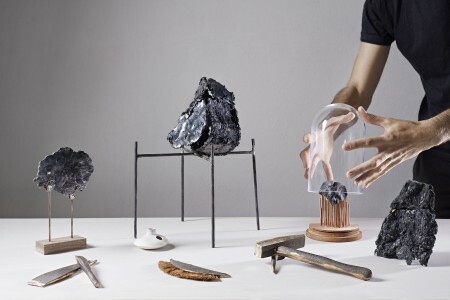 His project memorializes traditional tools of craft on a cabinet made from a modern tool of craft – the 3D printer. When Beer Holthuis discovered there was almost no sustainable 3D printing material on the market he set about experimenting with paper pulp as a viable alternative. 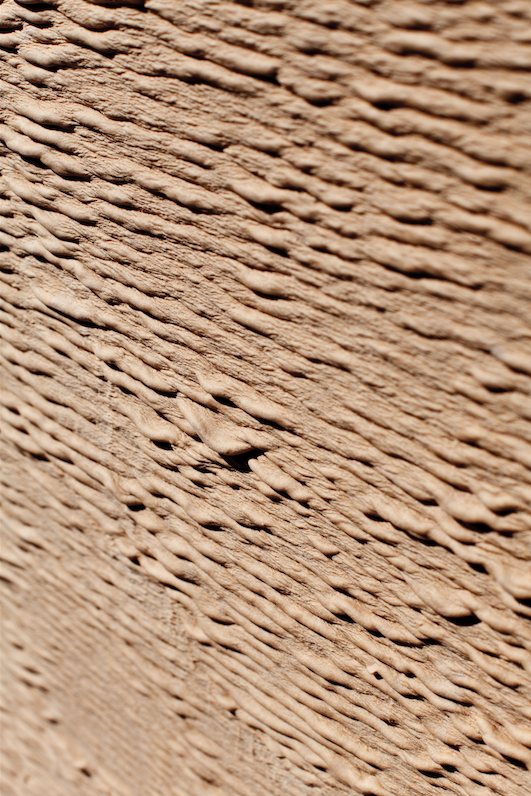 His 3D printer produces surprisingly strong objects whose sculptural quality is stone-like in its rough greyness. 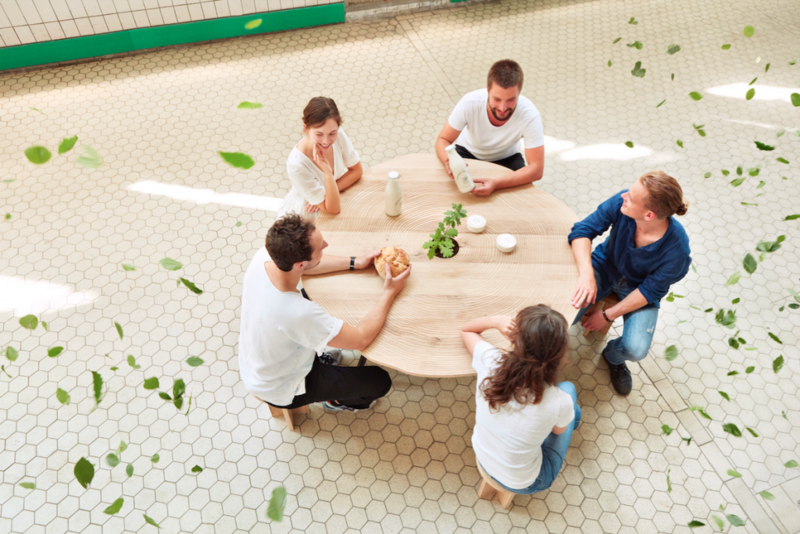 With playful colors, shapes and textures Adaptable Seating provides a set of modular furniture that can be re-configured to suit different spaces and changing daily needs of increasingly multifunctional modern spaces.